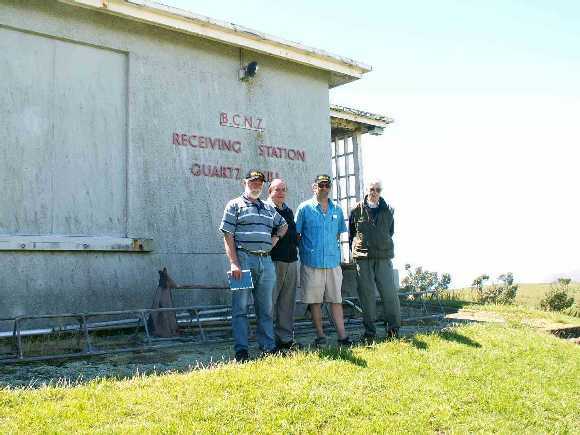 We very much enjoyed our stay at the Quartz Hill site and were blessed with beautiful weather during our visit. 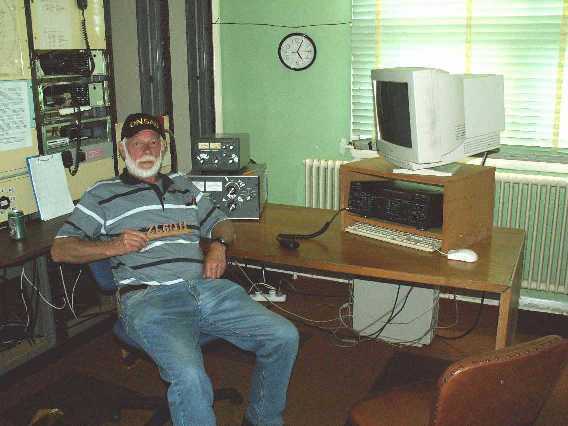 Working and contacting our Belgium friends from ZL6QH was really great. There was very little QRM and we enjoyed strong signals. Switching over from one antenna to another (short or long path Europe) revealed that we really had a long path opening. Back home now I will look on the bands to try to make a QSO with ZL6QH. Hopefully I may visit your fine and hospitable country once more in my lifetime - who knows? Marcel’s message contained four photographs. 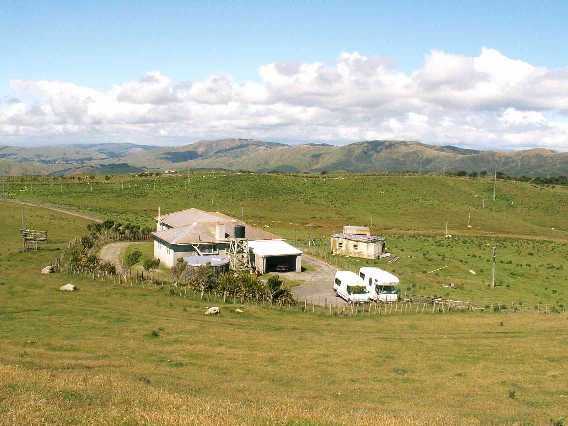 The Quartz Hill site with our two camper vans parked. 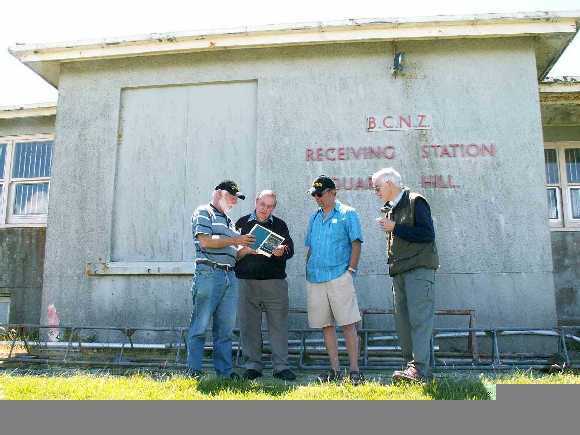 The same four, while ON5AU is handing over his “Radio Propagation Book, Volume 1” to Bob ZL2AMI, to be shared to all club members. AntenneX publishes the book. This is a first compilation from Marcel’s monthly columns for the same publisher about propagation in general.